THE CHIEF EXECUTIVE of supermarket chain Tesco has commented on the current horsemeat scandal, saying that the company will bring in new tests that won’t cost the customer more. In a statement, Philip Clarke said that nothing is more important to Tesco than the trust its customers place in it. He said that since they became aware of the horsemeat issue, they have been “working flat out to get to the bottom of the issue”. Clarke said the company have set a new benchmark for testing of products, to give customers the confidence that “it if isn’t on the label, it isn’t in the product”. He said he has asked his team to review Tesco’s approach to the supply chain, to ensure visibility and traceability, and create a plan “to build a world class traceability and DNA testing system”. The company will also build a new website to enable its customers to see the progress being made with its testing programme and which products have been tested. 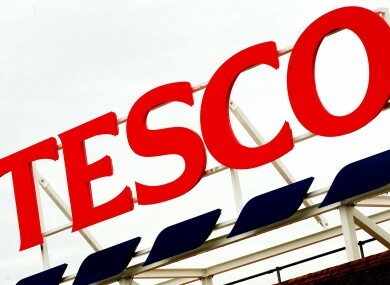 Tesco also pledges to open up its supply chain to give customers “more information than any retailer has before” to help people make informed choices about the food they buy. And I am determined that no customer will lose out as a result of the testing process we are going through, so from Saturday 16 February if a product is tested and then withdrawn from sale, we will provide you with a better alternative for the same cost. You can find more details at your local store. According to Clarke, it is Tesco’s responsibility to lead on this issue, and their priority is to complete the testing programme as quickly and thoroughly as possible. The company is also looking “at every aspect of how our products are sold in Tesco and at how our relationships with our suppliers become more transparent and collaborative”. Email “Tesco chief outlines changes after horsemeat scandal”. Feedback on “Tesco chief outlines changes after horsemeat scandal”.